Almost any business with vehicles on the road can enjoy many benefits with GPS system. Today, it is not only for long-haul drivers and taxi cab companies, it can also cover anything including waste management companies. Businesses have so much to gain by adding GPS monitoring to your fleet—and have nothing to lose for doing so. Here are a few of the numerous benefits of using GPS for waste management companies. Waste management vehicles are larger than the average truck on the road, so liability risks are greater when drivers get irresponsible behind the wheel. No business would want to believe that their employees and drivers could do such a thing, but GPS monitoring services can give you the opportunity to explore what really happens with your employees behind the wheel. While this could be seen as an invasion of privacy, having such data can be levied against drivers or those who claim your employees are at fault in case they get on an accident on the road. GPS monitoring works proactively to encourage safe driving; however, it works as a defense for your drivers and company against false accusations. It could also help you lower your insurance costs as insurers see the presence of GPS tracking devices as something that could help reduce risks. Not only does a GPS unit work proactively to encourage safe driving, but it also works defensively to defend your drivers and your company against false accusations. Finally, it may help lower your insurance costs as this does helps to reduce risks to insurers. Laying out the most efficient route for drivers can help your company save big on fuel costs. This is possible when drivers comply with the routes set for them. Of course, when savings don’t add up, it comes to a simple matter of verification to check whether or not drivers have been following their assigned routes, barring accounts of traffic-driven detours or accidents. One of the main benefits of using GPS for waste management companies is that it ensures that drivers are taking care of company business rather than using such time for personal use. 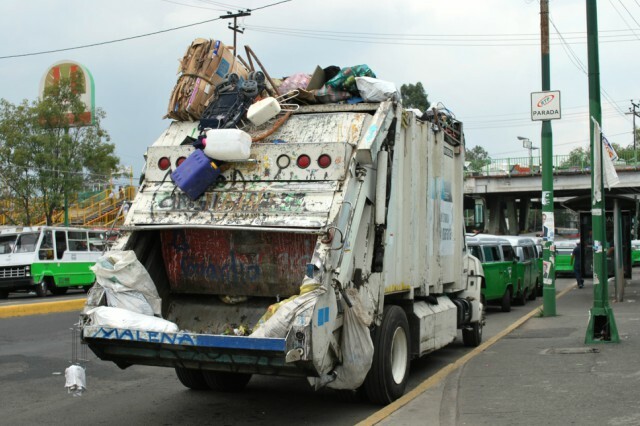 Waste management is not a business that people usually associate with pickups and deliveries, yet there are too many deliveries made throughout the day for such companies. The ability to provide a window of time for deliveries and pickups is something that customers can appreciate, giving you an edge over your competition. Getting costs down is the most important benefit for businesses that are incorporating waste management tracking device into their operations. And there are more benefits that make these devices worth the investment, including being able to locate your vehicles in case they go missing and reducing insurance premiums. Now that you know the numerous GPS tracking benefits for waste management companies, it’s time to explore your options and save more money for your business. Or learn more about our GPS fleet tracking devices.